Durian plantations is within a proximity of Teuk Chhou Rapids. 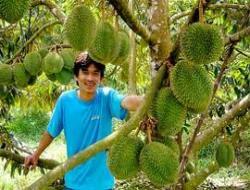 Kampot durian is famous throughout Cambodia for its flavor and sweetness. It is deemed superior to Thai durian by Khmer connoisseurs. 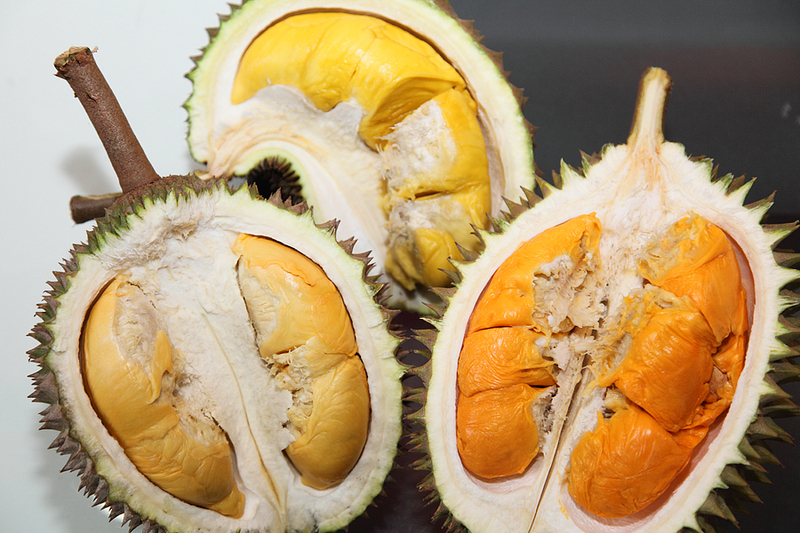 Durian is a brown spiked skin,strong-smelling fruit. Some Cambodians like to eat it raw. 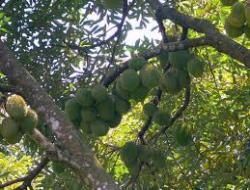 Others use its creamy yellow flesh to make deserts. Durians are expensive in Cambodia. At $3 a kilo, a small to medium durian costs a whopping $6. Considering that the Cambodian government defines poverty as subsisting on less than 75 US cents a day, durian is a luxury not afforded by most. This also means that durian farmers are very, very wealthy.